A desert world made desperate by drought and war. 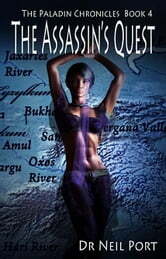 Jess, a beautiful Nubian assassin, deadly to her enemies but strangely troubled and vulnerable around her freinds. Can the love of the Greek slave girl, Pandora, and their friends save her? For Jess carried a terrible secret. And she desperately needs answers: answers about herself and what really happened to Jacinta and Elana in the final moments of the desperate defence of Elgard? Is the Elvish Prophecy really complete? The friends embark on a perilous quest that will take them half way across the known world to the Troad but they are not ready for what they will find there. Yet it is not only danger and dark magic Jess must face on her journey, can she face what lies inside herself? 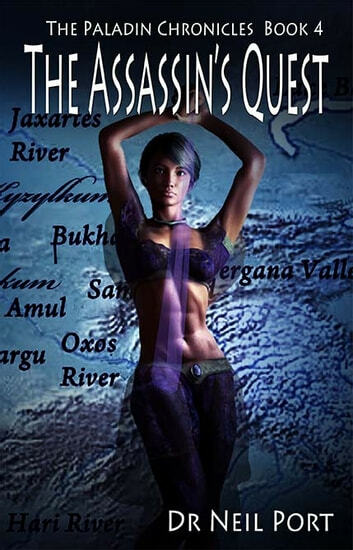 The epic adventure of love and courage that starts with the Elvish Prophecy continues in the Assassin's Quest. Once again another great read. Way faster than the others. Love character developments. Highly recommend. Definitely not a waist of time.